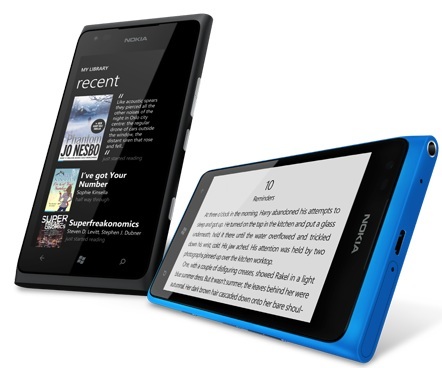 Nokia has today announced that it is just going to make the e-book reading experience for all the Windows Phone running Lumia smartphone owners better. Starting today, Nokia is starting the global roll out of Nokia Reading, an app and service that serves up the written word in your own language on your Lumia smartphone. Using the Nokia Reading app, you can choose your own favourite authors, or select bestselling novels and the top local books in your own language. 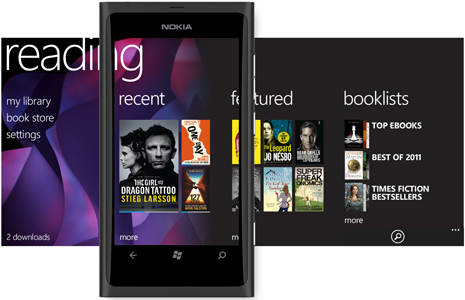 And if you’re not sure that you’ll like a book, then Nokia Reading will let you browse some sample pages before you buy it. Or if you are not the one who is much interested in buying the books, then you can download and read one of the thousands of classic works of literature that will be available for free. The roll out of Nokia Reading is for now on a country-by-country basis and the first ones to get to enjoy reading over the apps would be from France, Germany, Italy, Russia, Spain and the UK. The app will be available on all Lumia devices which include Nokia Lumia 610, 710, 800 and 900. To get the app users will have to look out for the service in the Nokia Collection at the Windows Marketplace over the course of next few weeks. And the app is also exclusive-to-Lumia-devices just like other Nokia apps which include Nokia Drive and others. Initially Nokia Reading is launching with a wide range of local titles, as well as a large collection of English titles popular across the world which will go on to include popular titles like The Girl with the Dragon Tattoo; One Day; and The Adventures Of Sherlock Holmes, and many more being added.